Can you translate this document by tomorrow? Can you translate a website? How can I receive an estimate for my translation? Do you do translations in-house? Can you give me a rough estimate over the phone? Do you have any software or machine translation that can do this? Do you translate business cards? 1. Can you translate this document by tomorrow? We will do our best to meet tight deadlines. But before we can do that, we need to be able to examine a copy of the final document that needs translating. We want to ensure the highest quality of translation and will not jeopardize that quality standard if we deem that the turn-around time is insufficient. We offer rush translation services for delivery within 24-hours and 48-hours for a rush fee. 2. Can you translate a website? Yes, we offer website translation or "localization" services. Please click on Localization for more information. 3. How can I receive an estimate for my translation? We will gladly prepare an estimate for you free of charge within 24-hours following your request. In order to prepare an accurate bid, we will need to examine a copy of all final documents needing to be translated. We prefer to receive these documents in electronic format (email: translate@aolti.com), but you are also welcome to fax (206-521-8605) or mail us copies of your documents. After you receive our estimate and agree to its terms, we can promptly launch the project. The documents will be sent to our team of translators and editors, and quality-checked by the project manager before it is delivered to you. 4. Do you do translations in-house? No, we work with a vast international network of highly trained and carefully-screened professional contractors who have demonstrated experience and subject matter expertise. 5. What languages do you speak? We offer translation and interpretation services in over 50 languages. 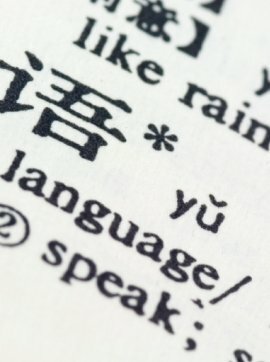 For a list of the languages we offer, please click Language List. 6. Can you give me a rough estimate over the phone? We prefer to give you an accurate estimate after examining copies of all documents needing to be translated. It is very hard to give an estimate without seeing the documents. However, we can give you some basic guidelines. 7. Do you have any software or machine translation that can do this? We do not use machine translation in our process because it has proven to be unreliable for the types of projects we manage. However, we do make use of Translation Memory software, also known as CAT tools, to assist our teams working on large size projects in order to achieve higher levels of consistency. 8. Is the translation certified? There is currently no such designation as a "certified" translation in the U.S. However, at our client's request, we can provide a notary statement accompanying our translation that testifies to the accuracy, reliability and completeness of the information contained in the translation. 9. Do you translate business cards? Yes, we do provide business card translation. We offer Desktop Publishing services as well and are able to deliver camera-ready translated cards. Our fees vary depending on the languages and layout.